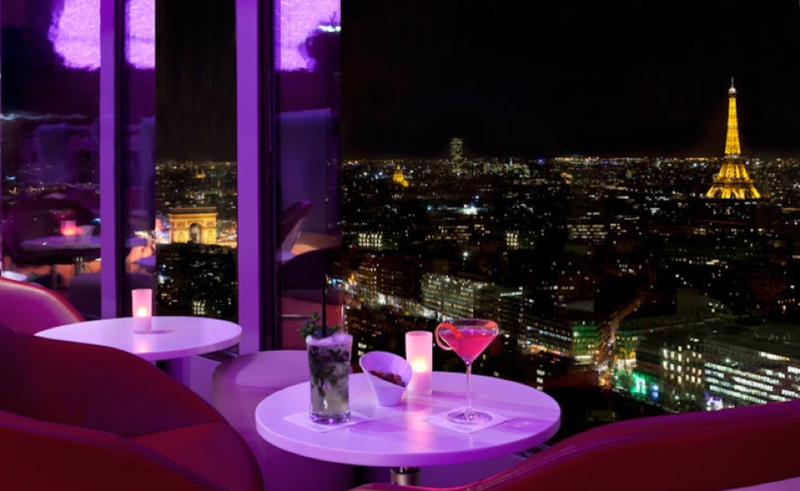 Whether you are in Paris for business or pleasure the bar in top of Hotel Concorde Lafayette is absolutely worth visiting – without a doubt a good starting point if you wish to explore the luxurious part of the capital: An amazing view to the Eiffel Tower, good cocktails and the romantic atmosphere of Paris. I was thrilled when I discovered this place. Thanks to one of my french friends I was introduced to this amazing bar – and what an experience… the place is enchanting. Hotel Concorde Lafayette is one of the largest hotels in all of Paris. It contains; 950 rooms / suites, 2 bars, a restaurant and more than 4,000 square meters meeting rooms. This 4-star hotel is among the most high-profile buildings in the capital. Hotel Concorde Lafayette has 33 floors and thereby reaches 137 meters in height. This gives an amazing view over some of the most famous monuments in Paris such as the Eiffel Tower and the Arc de Triomphe. The ambiance there is amazing.